Go further with Griya. Let’s do it together, your customer is our common goal. Simple and Easy to translate - You can enter the translation according to your language for Button, property status, etc. I do not have any coding skills at all. Is this Griya theme so easy for me? Yes. For those of you who do not have coding skills do not worry, this Griya theme does not require coding skills. To do this theme setting please see Documentation. WE HAVE MULTIPLE AGENTS IN OUR AGENCY AND WE WANT OUR AGENTS TO ADD PROPERTIES. BUT WE DO NOT WANT TO ALLOW ANYBODY ELSE TO ADD PROPERTIES EXCEPT ADMIN AND OUR AGENTS, SO WHAT IS THE SOLUTION FOR THIS ? 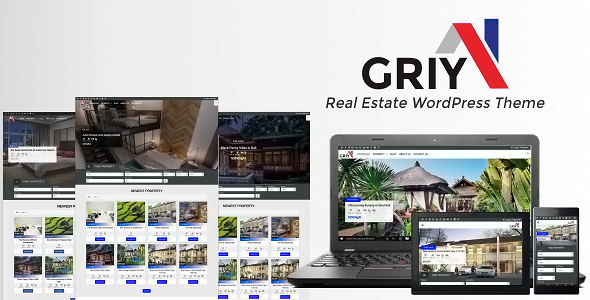 Griya real estate property is like a post in WordPress and You need to simply create users for your agents with author role. You can know more about roles from https://codex.wordpress.org/Roles_and_Capabilities . So, You can manually added users with author role will be good enough to add properties using WordPress dashboard. You can pass documentation’s add property link to your agents for guidance.